Thanksgiving is a wonderful time to enjoy family and friends. Facebook makes it easy to connect with people we can't sit around a table with on Thanksgiving Day. 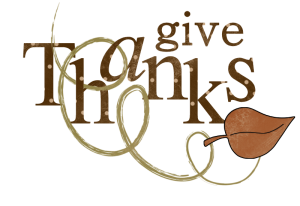 You can share the Give Thanks emoticon with your friends on Facebook to remind them that you're thankful for each of them as well as the other blessings in your life.